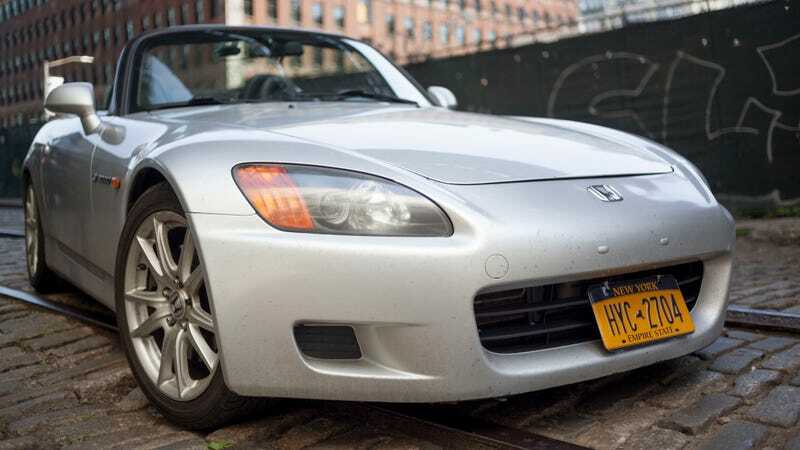 I’m throwing my well-used Honda S2000 up on a lift this weekend for the first time for some light maintenance, and I also want to give it a full look over while it’s up there. The car’s new to me and I haven’t done a real deep-dive yet (which I maybe should have done before letting all my co-workers hoon it.) What should I look for? I’ve ordered some motor oil, transmission fluid, differential fluid, and a new positive crankcase ventilation valve for my 184,000-mile Honda, just as a starting point. But I also want to give it some sort of post-purchase inspection—something like what I probably should’ve done before buying the car. After driving my S2000 more than 1,000 miles since purchase, I can safely say it works, but it does have its quirks. Most notably, it burns a concerning amount of oil, it has an occasional grind in second gear, and I think that basically all of the tires leak air, for some reason. So I’ll be trying to look into those things. Your turn. Do you have some sort of new (used) car purchasing ritual? Do you clean the interior and look for loose change? Do you start pulling belly pans off and looking for play in suspension parts? What do you think is the most important thing to do after you buy a used car?